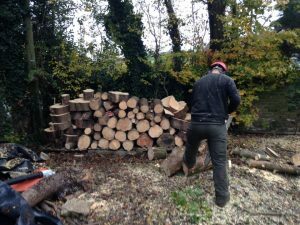 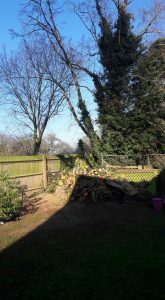 Heavily colonised with ivy this over mature Hawthorn was felled and cordwood stacked on site. 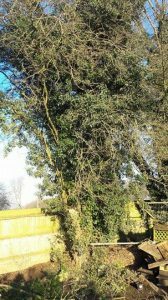 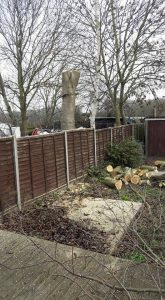 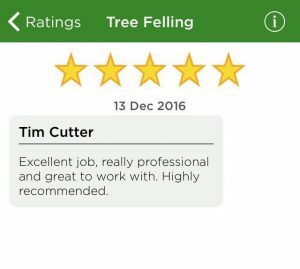 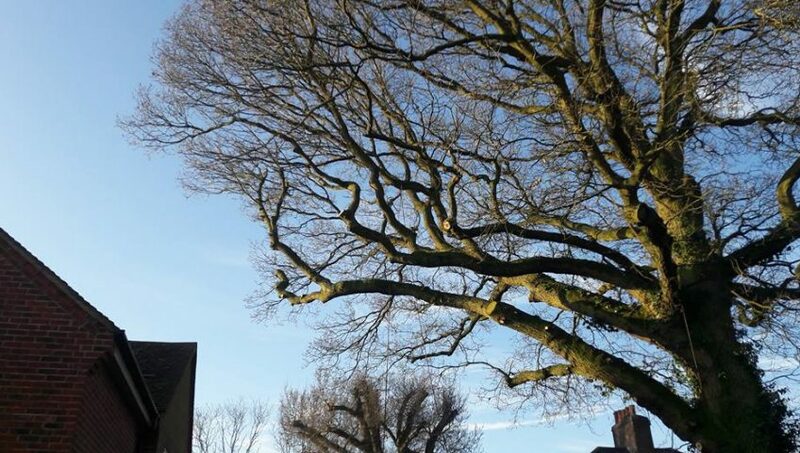 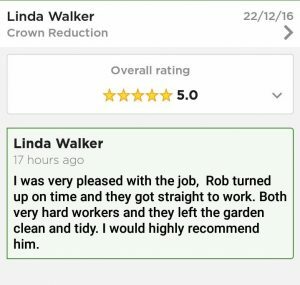 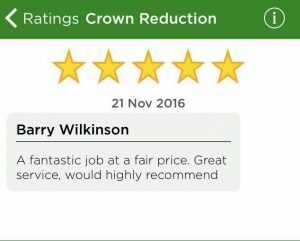 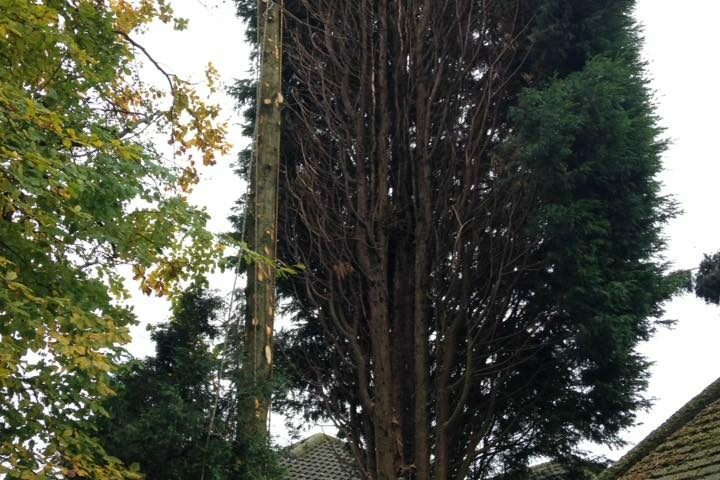 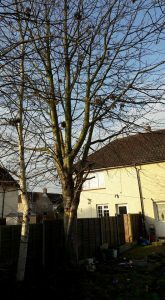 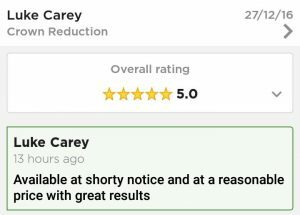 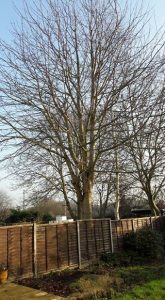 Our client felt the tree was an eye sore and we also advised them that the tree had potential to fail. 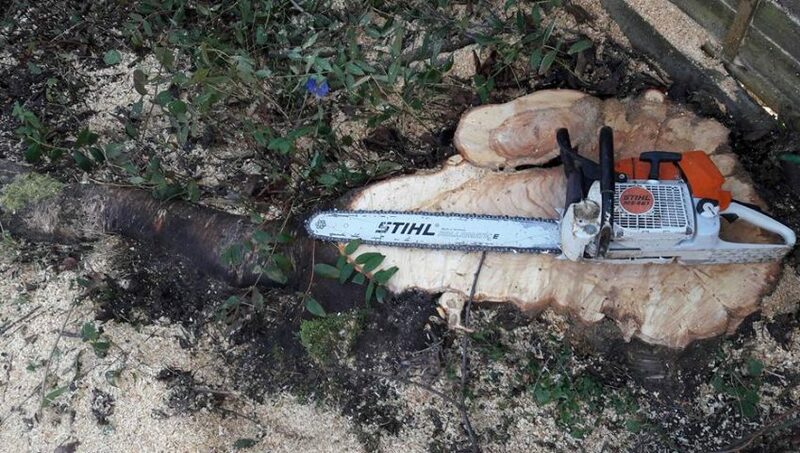 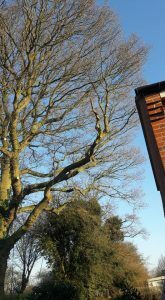 Also a mature Oak tree that we are in the process of applying for a crown reduction, the tree has a TPO and is starting to cause damage to the property. 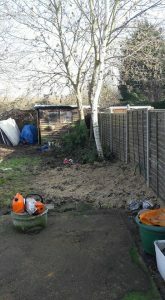 We have applied in the past but was refused so our client is having a structured engineer write up a report. 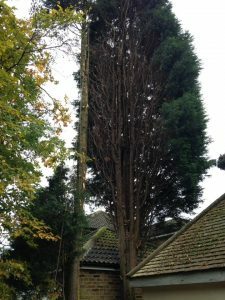 Reducing the size of a tree will in turn suppress root growth. 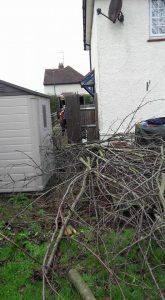 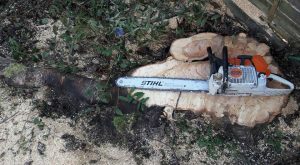 We was only given permission to prune away from the property, further investigation is needed until we can proceed in the future with our work. 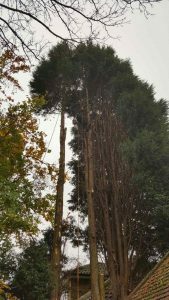 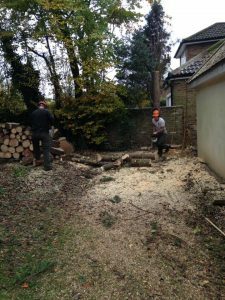 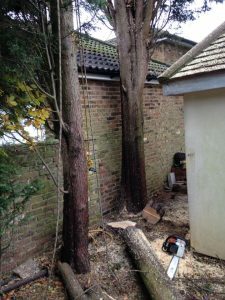 Job in Bovingdon today – Laylandii cypress dismantle in a tricky and tight spot! 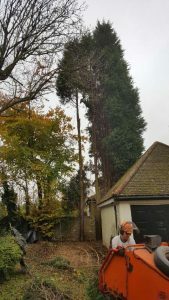 Rigging techniques incorporated to ensure the three tree’s were safely removed with no damage to either properties.Another tight job successfully undertaken and complete!